The NBA is back! Well, let me rephrase that, this is the most exciting period for the NBA in quite some years. Though the NBA has always been a huge money earner, it feels like things had slowed down some over the last 10 years outside of a few choice moments. However, this season saw so many big moments of drama and excitement that the NBA is front and center in the sports world. From the retirement of Kobe Bryant to the 73-9 regular season Warriors to the comeback and big time win for Lebron and the Cavs, this season was like a revitalization and rebirth of the NBA in so many ways. As the season came to a close, the NBA reached record ratings for a NBA Finals game, and the biggest talk was lingering around the free agency and the NBA Draft. 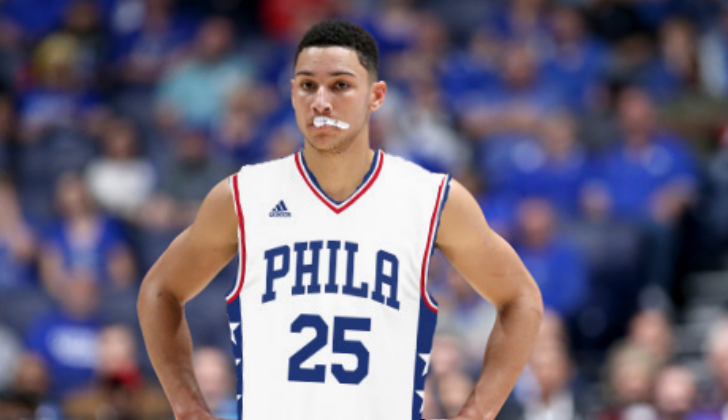 Let's talk about how this NBA offseason has been crazy. First, the Draft. 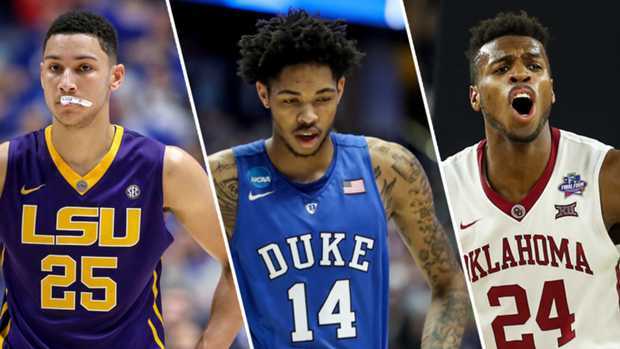 The NBA Draft took place and while it didn't send as many shockwaves as possible, the Draft was a huge topic all night and all week on social media, and with Ben Simmons going no. 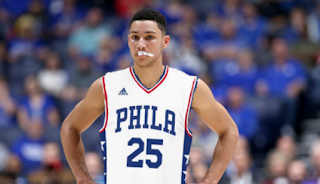 1 as expected, the 76ers were a huge discussion. Brandon Ingram went no. 2 and joins the Lakers and I think he will make a solid addition to the team and their building youth movement. The Celtics made a shocking choice in the first round with Jalen Brown that we'll have to see how it pays off, but the Wolves won big time with Kris Dunn. I like Buddy Hield heading to New Orleans and he should he a productive player I'm sure for the team. There's some sleeper picks too from the draft as well, so as the upcoming season approaches, we will definitely see which teams won big and what teams picked a bust. We knew that a lot of teams could look different when the next season began, and with free agency approaching, there were some big questions. There were a lot of big time free agents on deck, and some smaller ones, but no one could have imagined the frenzy that this has caused. 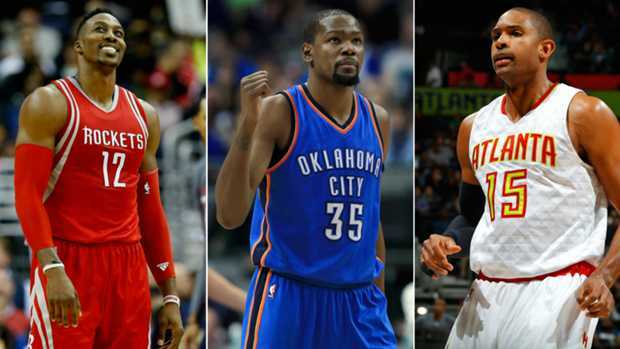 Let's look at some of the biggest and most important deals from free agency so far. -The Grizzlies are paying Parsons big time. I'm not so sure how effective he will be, but regardless, it seems like the Grizzlies were handing out big checks to the players they wanted to have, as this was not the last big contract they would hand out. -The Raptors hold on to one of the biggest reasons for their Conference Finals appearances, and give him a massive max contract. 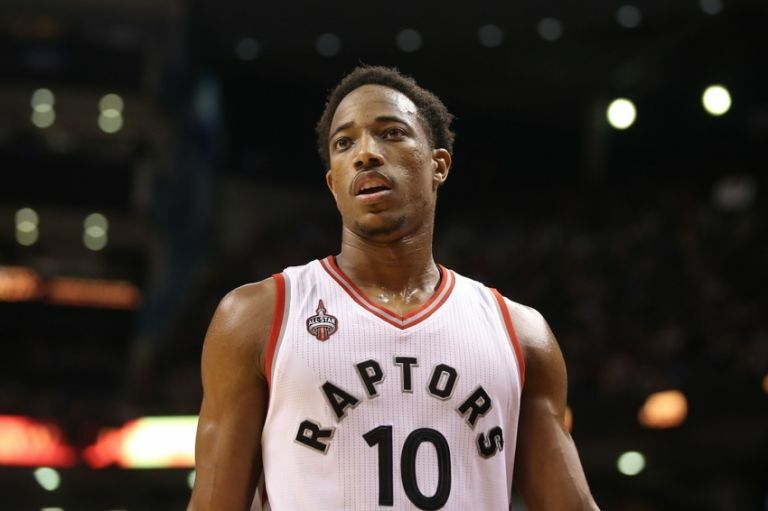 Rumors of Derozan wanting to go to the Lakers were false, as no one seems to want to go to the Lakers. Well, some people do, but just not effective players. More on that later. -Beal is young, but a bit inconsistent and unreliable due to injury. He hasn't played more than 73 games in a season yet, and I think the Wizards made a mistake in offer him the max, but securing a possible piece of their future was vital. Perhaps Beal has an amazing year going forward. -I wanted to see Batum go somewhere else, but Charlotte saw how important he was, and snatched him up for a big contract. Batum staying with the Hornets was not what I expected, but in the end he got paid a ton of money for it. -Lin is back in New York.... Brooklyn to be exact. How he will fit in with the offense remains to be seen, but I think Lin will be very productive for the Nets, and though Linsanity will never be the wave again, he could have a pretty solid year. -Orlando oddly enough needs him after the trade to bring Ibaka in and send Oladipo to the Thunder. He was a solid scorer for the Magic this past season and with this deal, it seems they have a lot of faith in him going forward. 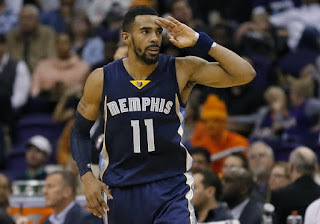 -The biggest contract in the NBA goes to Mike Conley. Not sure how I feel about that one, but it is what it is. Conley is one of the most vital pieces of the Grizzlies and if he stays healthy, he will be a huge factor, but I think this contract was a bit higher than necessary. Kudos to that brother for getting paid. -The big man out in Miami seemed like he was going to leave and head to the Mavs or the Lakers. However, no one wants to go to the Lakers and the Mavs are falling off as an organization in a way, so I'm not entirely shocked that Whiteside didn't leave the Heat. He signs a big deal and solidifies himself as a vital piece in Miami. 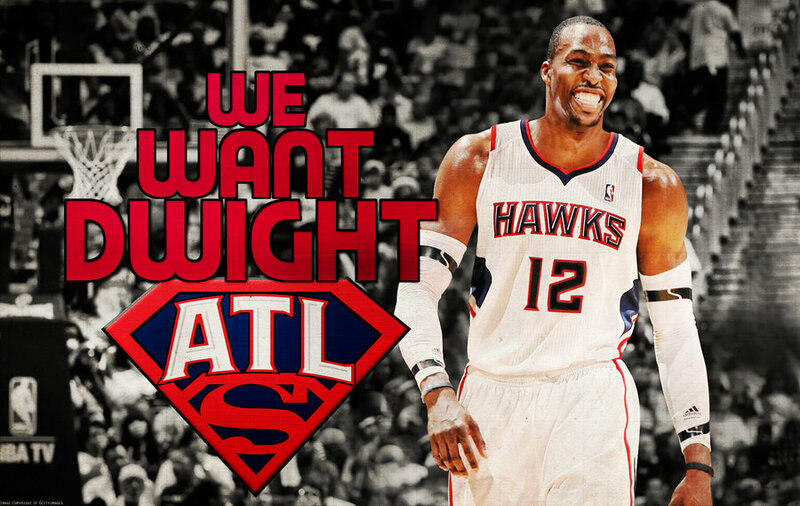 -Why people insist on paying Dwight after all these years I'll never know. 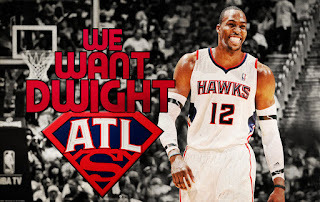 He's a shell of himself and while I suspect he will do well in Atlanta, I don't see them maintaining the force that they have been in the East with Dwight there. Maybe I'm wrong, but I just don't see it. 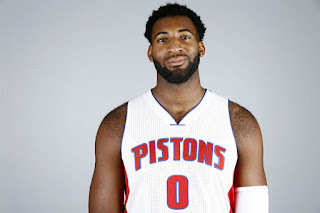 -Pistons have their big man and they paid him as they should. Drummond will be a big force for the Pistons for years to come and I think he's their key to going far in the playoffs with his defense, ability to grab boards, and his improved scoring. Sky is the limit. -I was shocked to see Horford leave the Hawks somewhat, but you knew when Dwight signed that he wasn't going to stick around. He now joins the Celtics, a team that I suspect he will end up contributing a lot to, despite his recent poor playoff performances. 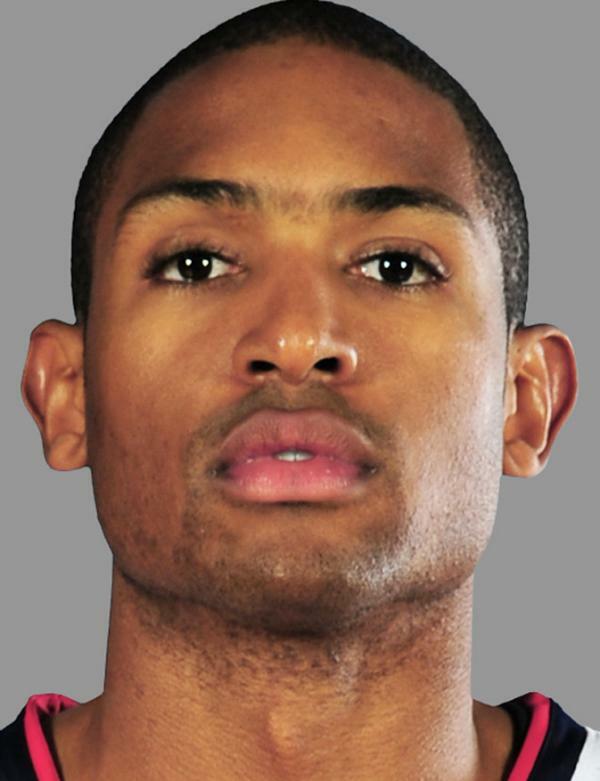 This will be a rejuvenation of sorts for Horford I'm certain. -Deng hasn't really been effective in quite some time. However, the Lakers felt the need to give him a solid contract for some reason. It confused me to be honest, but perhaps the Lakers have a vision that I, or many others, just can't see. -The former Raptors player showed out tremendously in the playoffs, and got himself a nice contract. With Ibaka also in Orlando now, it looks as if it will be a block and boards party for the Magic. -Well.... my Bulls have decided to sign Rondo. Butler and Rondo working together is the oddest combination I could imagine, but hopefully Rondo can bring something worthwhile beyond just stat padding. He led the league in assists last year, but that didn't translate to wins. Let's see how it plays out. -The three time Sixth Man of The Year returns to the Clippers. I almost expected him to entertain other offers and leave after the low first offer from the Clippers, but he remains in LA. With Pau Gasol, Dwyane Wade, and other big names still in the running for a big deal in free agency, the game of basketball could be shaken up even more in the next week or so. However, one team has seemingly restructured their whole organization through free agency and trades this offseason, and being in the mecca, we have to discuss what this means for them. -For the first time in a while, the Knicks look like a contender in the East. The signing of shooting guard free agent Courtney Lee (4 years, 48 million) and the big man Joakim Noah (4 years, 72 million) changes the lineup considerably and gives them some more fire power. 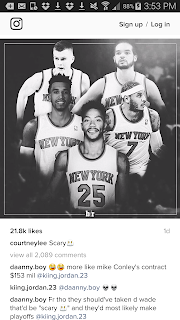 Though, signing someone like Wade would have REALLY made this Knicks team look even more unstoppable, Courtney Lee is still a very solid player, who could be very productive for the Knicks if given the opportunity. Porzingis is still learning and I expect him to be even better in his 2nd year with the Knicks. He played a very good first year and was my 2nd pick to win Rookie Of The Year after KAT. On top of that, the Knicks have a new head coach in Jeff Hornacek, and Phil Jackson seems to be even more hands on, which could spell big things for the Knicks going forward. One of the biggest factors in the Knicks rebuilding is their star player Carmelo Anthony, as he will have to produce an amazing season to garner them a playoff birth, and keep them in the hunt. On paper with just Porzingis, Melo, Lee, and Noah, the Knicks would be a solid choice for a possible 7th or 8th seed at best, but the final piece of the puzzle comes in the form of a former MVP joining their team. 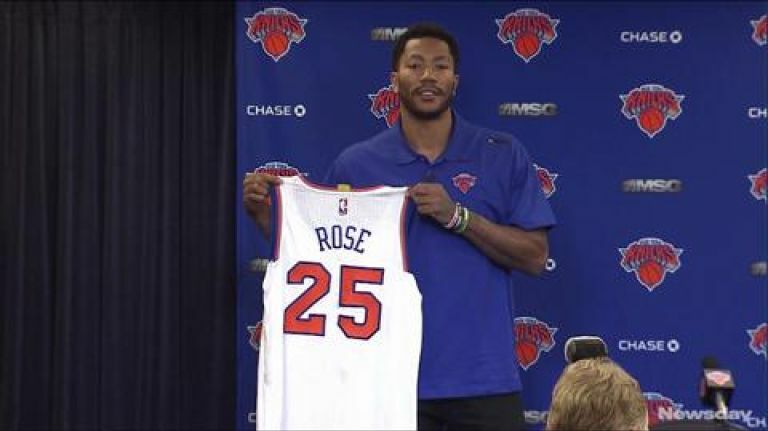 Derrick Rose has joined the Knicks after being traded by the Bulls, and he will take the role as the starting point guard for the team. Now, the craziest part about this whole thing is that we have to also remember that Rose hasn't been healthy for a whole season in quite some time, though he had a nice stretch during the final months of this past season. 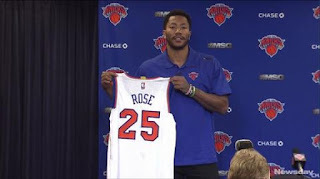 What Derrick Rose shows up to the Knicks? Is this the Derrick Rose of the early 2010s? Or the very injury prone Derrick Rose who can't last an entire season or the majority of it? I think this is the most exciting part of it all, and though Cleveland will be on everyone's radar, along with the Celtics and Pacers, I think the Knicks instantly become the team in the East. Not because they'll be dominant, but because you'll want to see if they can manage to all stay healthy, pull it together, and make the playoffs. On paper? 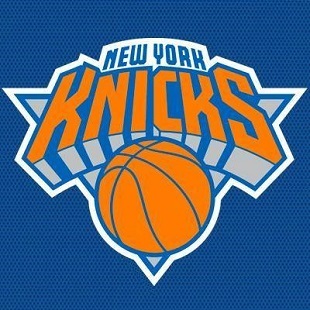 I'd say this Knicks team is a possible 4th or 5th seed in the East, which will be more exciting this year coming. While the Knicks were rebuilding however, the greatest regular season team in history pulled off the biggest steal in the NBA. -I still can't believe it, though I've personally seen it coming since the beginning of this process. Durant told the media that his decision would be purely a "basketball decision", and putting two and two together would lead you to believe that the Warriors would be the smartest choice there. Any team that acquires Durant, who is one of the best players in the game, and possibly the best scorer in the league, will definitely be massively improved by his addition. What's scary is that this isn't a team that just missed the playoffs and needed an extra piece. 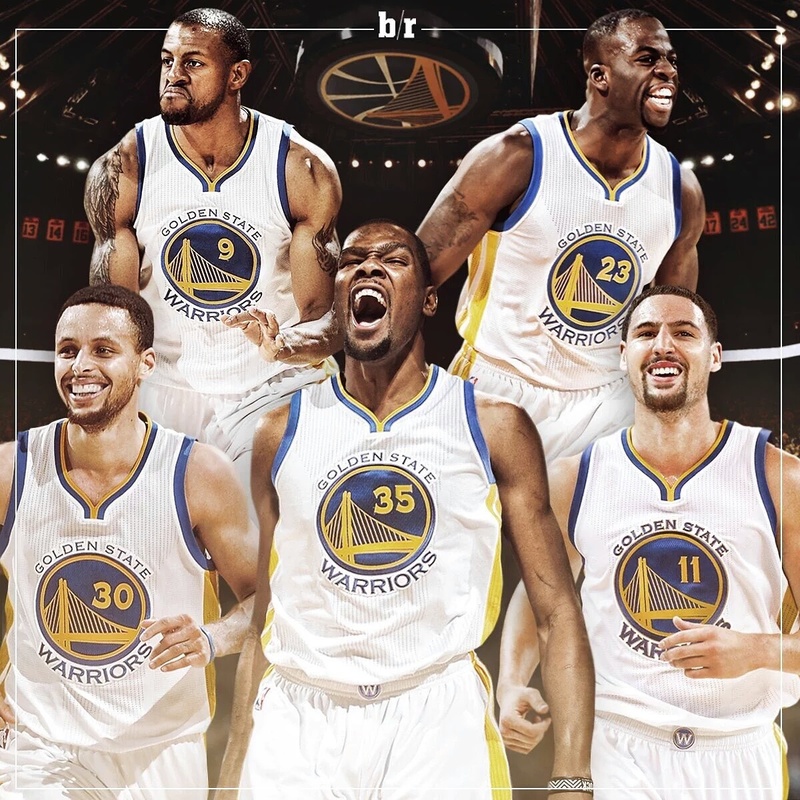 No, this is the 2015 NBA Champions and the team that had the 2016 NBA Title all but won before the fuckery of the final few games. The Warriors made back to back appearances in the Finals, have one of the best point guards in the league if not the best (and a top 5 player in the league right now), one of the best shooting guards in the league, and one of the most well rounded power forwards in the game, with a truly deep bench. Add that to the fact that a healthy Warriors team without KD just went 73-9 and instantly you have an intriguing situation. The Warriors have gone 67-15 and 73-9 in the last two seasons, and for a team such as this to pull off a big acquisition like Durant, that's got to be scary to all the other teams in the NBA. Durant is one of those guys that you can't really stop offensively, especially when he gets going. Curry is one of those guys that you can't really stop offensively, and despite his dismal performance throughout the playoffs, when Steph is fully healthy, he's unstoppable. We saw this with back to back MVPs. Klay Thompson is growing as a player and during the regular season, he's become a force, and Draymond Green is a defensive juggernaut and probably one of the most improved players in the game period. Add into the equation Andre Iguodala, the 2015 Finals MVP who is rumored to now be the starting small forward for the team, and you've got something special on your hands. The Warriors still have Shaun Livingston, I assume they'll keep Barbosa and Speights, who truly have value for the team, but they'll unload Ezeli and get rid of Harrison Barnes, who seems likely to go to the Mavs with a max deal. The Warriors also will likely get rid of Andrew Bogut and his contract, leaving the Warriors to go small with their death lineup, which used to be Steph, Klay, Iggy, Barnes, and Draymond. 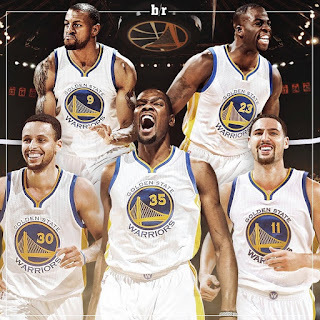 Substitute Barnes for Durant, and that death lineup becomes much more brutal. I'd hope the Warriors keep Brandon Rush as well, as he proved to be a vital piece off the bench, and when you look at that lineup... man, it becomes scarier. Losing Ezeli isn't a big loss, and neither is losing Barnes. Barnes was a good role player, but notoriously inconsistent and replacing him with Durant technically is the smartest move the Warriors could have made. So, as if the Warriors weren't hated enough, they instantly become the most hated in the NBA, while also the most unstoppable team in the NBA. Chemistry is always key in the game of basketball and I think relationships between players are what will make this decision so beneficial in general. The Warriors are a close knit team, and despite their collapse in the Finals, I don't think we'll see any of that again this coming season, unless injury happens to one of their 4 All Stars, but even then, they have enough pieces to make it work. Say Klay goes down, you can let Livingston come in and hold it down defensively and with the mid range jumper, while Steph, Durant, and Draymond handle things elsewhere. If Steph goes down, it's a much bigger loss, but they would still have Durant, Klay, Iggy, Livingston, and Draymond. How could you really handle a team like that? That leads me to my final point. The Miami Heat became villains after the super team of Bron, Wade, and Bosh was formed and rightfully so. You took two top 5 draft picks from the 2003 Draft and put them on a team with another top 5 pick from that same draft and the rest of the NBA seemingly didn't stand a chance. While the first year didn't work as well as they wanted to, the Heat made the Finals four straight years before Lebron left them to go back to Cleveland. That role as the villain and the most hated team seemingly breeds championships and titles, much how the Lakers became such a hated franchise over the years as well. Fans like dominance and loathe it at the same time. Durant has been a beloved player for many years, and given a pass, and I think him walking right into the fire by joining the Warriors cements a heel turn for himself and the rest of the team. The only difference between this team and the Heat is that Durant joins a mostly homegrown team, who drafted their three All Star players and watched them grow. The Warriors had a slow build to get to championship contention over the years and now that they've got there, they want to remain there. Signing Durant to a 2 year deal, worth almost 55 million is an insurance policy. The Warriors without Durant are already the greatest regular season team in history and a NBA Champion with back to back Finals appearances. The Warriors with Durant? We could witness a dynasty. After blowing a huge 3-1 lead, the Warriors are now in prime position as the favorites to win the 2017 NBA Championship and rightfully so. They are also the most hated team in the NBA now, while Lebron has escaped his villain role and moved back into the role of a hero, who people respect beyond belief. The truth be told, the villain roles tends to be perfect for players, playing against the hate and shutting up opposing fanbases, while basking in the glory on the homefront. For KD, this could prove to be life changing, as well as career changing. I think the Jerry West conversation played a big factor in his decision to leave OKC, but we also have to look at the mistakes OKC made in general. We knew that Westbrook was likely on his way out next year and I'm sure Durant was aware of this and decided to leave. Westbrook is the leader of the Thunder, but Durant is the best player on the Thunder. The contrast worked well in most cases, but came back to cost them where it mattered most. The Warriors recruiting for Durant was top notch, as they had the rest of the starting 5 come to their meeting and they kept details quiet of what went down. For all the talk of KD being blown away by the Clippers, having loyalty to OKC, and the Celtics bringing in Tom Brady, it was evident that the smartest choice for his future would be a team like the Warriors (or if possible the Spurs, which would have been the other smart option). In sports, we do tend to have this notion that players owe a city and a team loyalty and I think that's what got Lebron killed so badly for his departure to Miami. I understand the backlash for Lebron. It wasn't just about him staying in Cleveland to lead the team to a title, it was about the fact that he was their hometown boy. He had went to school there in Ohio, lived there his whole life, he was Ohio. It was the built up narrative that he was supposed to be the king and savior to bring them a championship. However, Lebron had a dislike for Dan Gilbert and as he mentioned, he would handle his departure in the wrong manner, something he said he regrets to this day. Durant definitely deserves criticism for his opinion about super teams over 6 years ago only to create one now, but I'd suspect KD isn't the same person or player that he was 6 years ago. He's won scoring titles, a MVP award, and been crowned as one of the best players in the league. Perhaps after almost 10 years in the league, it was just time to move on. Is he wrong for that? No. Was Lebron wrong for leaving Cleveland? No. He wasn't. It's just that when you mix in the fans' emotions and their perception of the game, it looks like betrayal to OKC. It isn't. Basketball is a business, and while it would have been cool to see Durant stay in OKC and bring them a title with Russ, over the last few years, we've seen the writing on the wall. Most people thought KD would come home to the Wizards. Some said he would go to the Lakers and wait for Westbrook to come the following year, others though the Celtics or Spurs perhaps, but we all suspected he would leave. 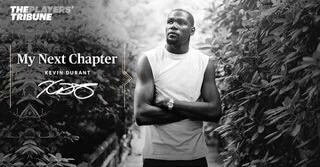 Durant made his decision. Though personally I wish he would have considered coming to my team, the Bulls, as a fan, I get why he went to the Warriors. He wants that championship. He didn't see it happening in OKC. After all these seasons with the team, with only 1 Finals appearance to show for it, he chose his best option for winning. I wonder if the backlash for Durant would have been the same if he joined the Spurs, the same team he just beat in the playoffs. Likely not. Joining a team with Tony Parker, Kawhi Leonard, Manu, David West, LaMarcus Alridge, and Tim Duncan would be almost in the vein. The Spurs won over 65 games last year with their roster and they were only boggled down in the playoffs likely by old age for many of their star players, but adding Durant would have made them a super team as well and likely as unstoppable as we expected the Spurs to be last season (I think during the offseason we all said the Spurs would likely take the West and they damn near did). In closing, KD wanted to win. He chose what he felt was his best option. It's as simple as that. This will be exciting to watch, and whether or not we all agree on the move is irrelevant. 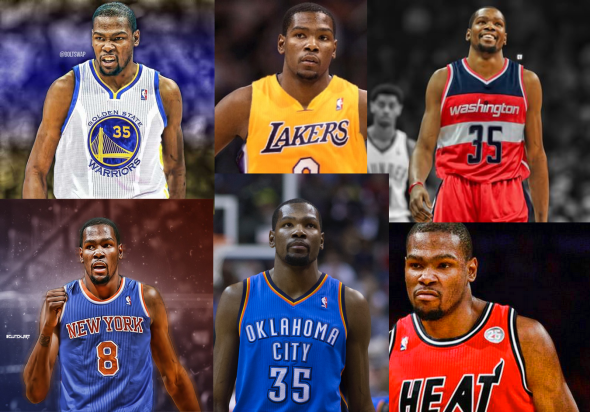 KD made what he felt was the best choice for him as a player, much like many players have in the past. This was the end of an era offseason, as the run of Derrick Rose in Chicago came to a close, and now the Kevin Durant era in OKC is over with. This offseason changes everything for the NBA and come October/November, all eyes will STILL be on the NBA.